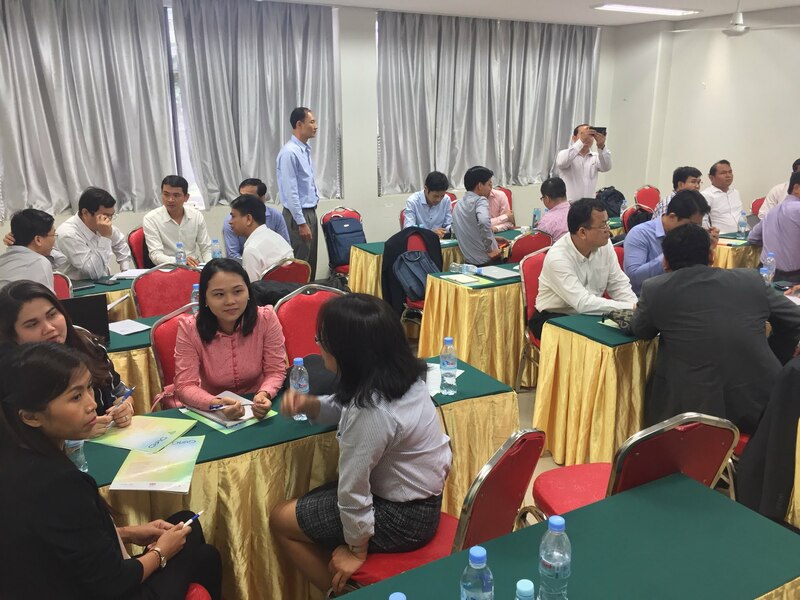 The Coalition and the Cambodia Directorate General of Higher Education (DGHE), Ministry of Education, Youth and Sport conducted a TPD@Scale workshop for local universities on August 30, 2018 in Phnom Penh. The workshop combined a needs and situational analysis of teaching capacity in Cambodia higher education, an assessment of the state of faculty development in Cambodian universities, and initial steps in co-designing a TPD@Scale program for local higher education institutions. This initiative on teacher professional development (TPD) forms part of a larger DGHE program to be funded by the World Bank. The workshop was attended by senior DGHE officials and senior and middle management from the Royal University of Phnom Penh, Royal University of Agriculture, Institute of Technology of Cambodia, Svay Reing University, Battambang University, Chea Sim University of Kamchaymear, University of Heng Sarin Thbongkhmum, National Institute of Posts, Telecommunications and ICT, Mean Chey University, Paññāsāstra of Cambodia, University of Cambodia, Western University, and Phnom Penh International University.